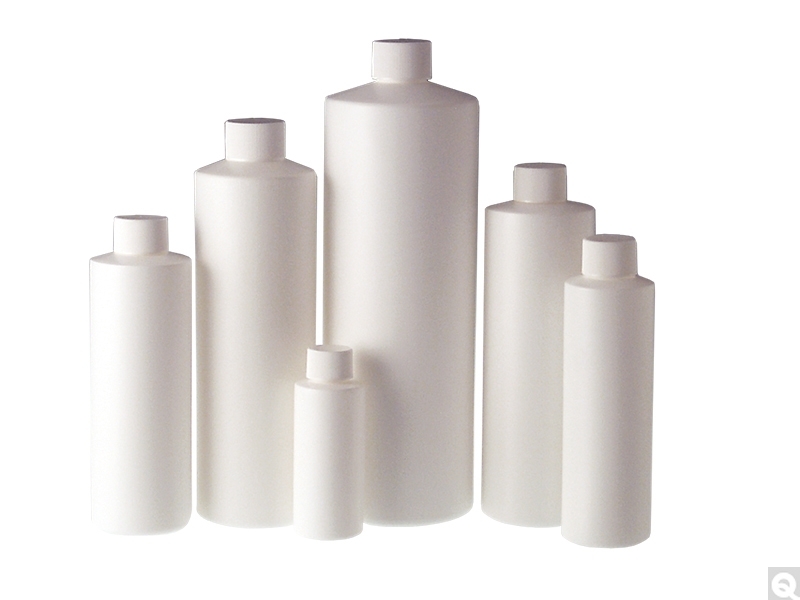 White HDPE Cylinder Bottles are impact resistant. They provide an excellent moisture barrier and offer a degree of light protection. Ideal for pharmaceutical applications. Narrow mouth cylinders are perfect for handling liquid samples in the lab. The shoulder style allows you to pour small quantities without spilling. HDPE bottles are ideal for high-speed filling, demanding pharmaceutical specifications and the rough handling of interstate shipping.